Sydney Dance floors are Disappearing! 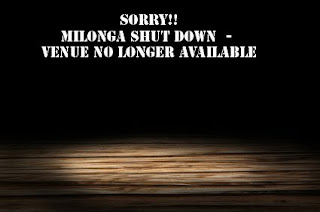 For about 7 years we have run a milonga once a month on a Saturday night. Over the years we have had to move venues for a number of reasons - and once again we face this dilemma. The venue we have used for the past year at the North Sydney Leagues Club is no more. The club has decided to remove the dance floor and replace it with offices! 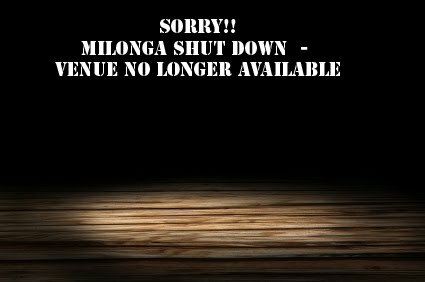 Our quest for a new venue this time has brought home how few there are and we have been forced to put our Saturday milonga on hold for the time being. Clubs we have used in the past have disappeared because of they have become financially unviable for a number of reasons - or the land they are on is wanted for development. Excellent floors that have disappeared in this way include the Cooks River Motor Boat Club, the Brighton-le-Sands Fishos, North Sydney Anzac Memorial Club, Balmain Leagues Club and RSL clubs in Maroubra, Bronte, Botany, Kensington, Mascot and Clovelly. One of the main problems with tango events in clubs is that our patrons don't drink much. You can't drink alcohol and dance tango - and few patrons will dine in the club's restaurants and bistros. So many clubs will not accept bookings for a Saturday night - or they will not stay open late! We will continue to search in the hope we will unearth a gem! but I think we may have more luck panning for gold. Every dance community has its challenges with keeping venues. Club Almagro is one example in BsAs. The sports club wanted to expand, so the dance floor was removed and replaced with exercise equipment. How much dance floor size is usually needed for a tango night?